On November 23, 2018, the U.S. Global Change Research Program (USGCRP) released Part 2 of the Fourth National Climate Assessment as required by law. [link] You may have read in the always credulous “mainstream” media about all the doom and gloom prophecies in the new report. Part 1 was released last November. Much of the latest USGCRP report is vague and unsubstantiated. 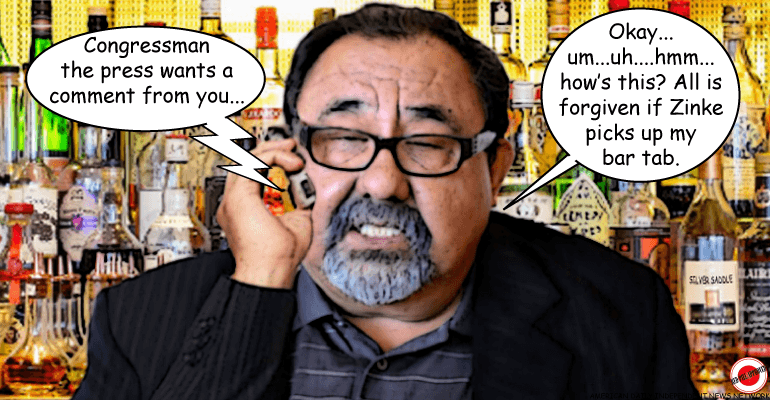 It offers no hard evidence, just vague assertions and claims that past climate change is no evidence about future climate change. 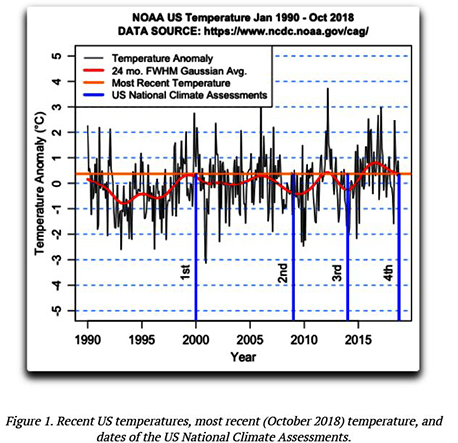 It does not meet the standards of the Information Quality Act, and each page should be stamped: “Based on speculation, not hard evidence.” Part 2 is based almost entirely on one extreme climate model (RCP8.5) which is an outlier from most other models. Even the UN’s IPCC is phasing out that model. And you were expecting the lackeys to offer up a good report??? Sorry, they are bought and paid for by the tax and spend idiots that want to make the US a third world country. Thank you Jonathan, I always look forward to you articles. Keep up the great work. Really? So the town of Paradise was not burned to the ground? So Florida is not losing beaches? So the Maldives are not shrinking as the ocean rises? So those incredibly destructive hurricanes were filmed on the same Hollywood back lot as the “faked moon landings?” As the writer B. Traven said, “There is a real world, and you are in it.” Well, some of us apparently are not. Albert is right. Climate change is real. The earth’s climate has been changing since day 1…and it will continue to do so long after man is out of the picture. For God’s sake man, electric rates were increased. How long can you tie cause and effect to things that are not connected? By looking at Trico’s electric usage chart that is part of the bill and shows the past year. Duh! study of the Tucson area. be even more pronounced in Maricopa County. trove of data to prove the Heat Island effect.